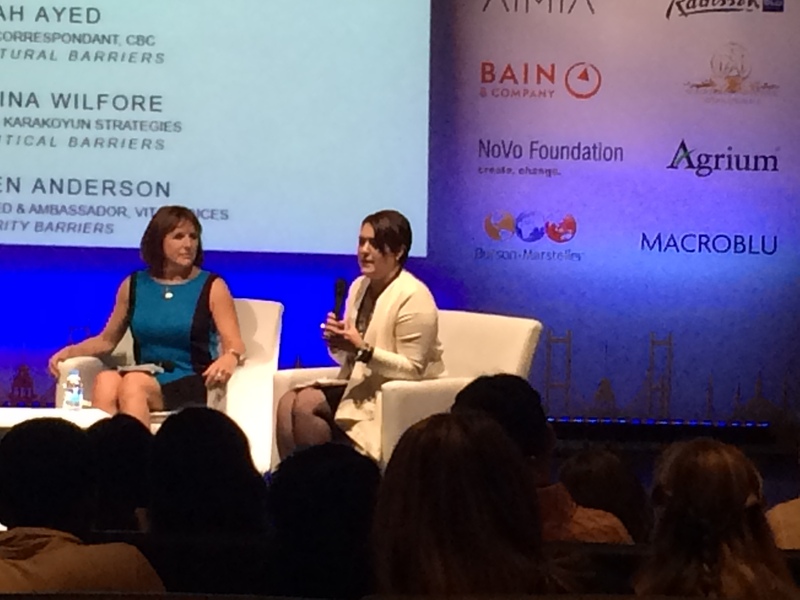 I was honored to be an adviser and facilitator for the 2015 G(irls)20 Summit in Istanbul. G(irls)20 is a unique global platform that economically empowers girls and women around the world. Launched in 2009 at the Clinton Global Initiative, G(irls)20 places girls and women at the heart of the economic decision making process by advancing the idea that increasing female labor force participation will generate growth, stabilize communities and countries and lead to social innovation. Designed G20 style, this Canadian based, globally active organization brings together one delegate from each G20 country, plus a representative from the European and African Unions, Afghanistan, Pakistan and the MENA region. In addition to being a speaker at the Summit I served as the moderator for the one-day session to outline recommendations to G20 leaders on how to create 100 million new jobs for women by 2025 — presented in a Communique to G20 Leaders. I love the picture above, featuring the delegates at work as they developed and analyzed different approaches to increase jobs for women across the world. With young women like these gals at the helm, the future looks bright, despite the obstacles for women around the world. 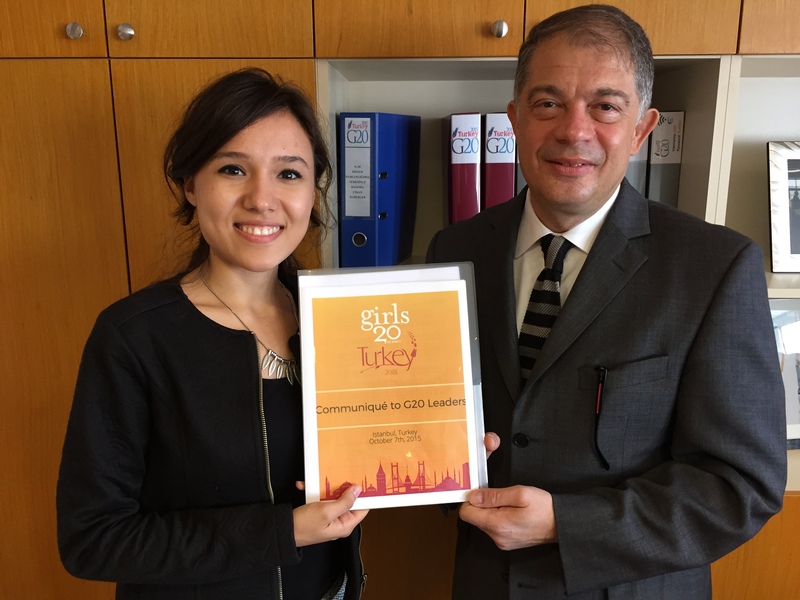 The G(irls)20 Summit Delegate representing Turkey, Sebiha Güngör met with Ambassador Emre Yunt, Director General for Multilateral Economic Affairs, Republic of Turkey to present the 2015 G(irls)20 Delegates Communiqué to G20 Leaders, on behalf of the entire delegation.